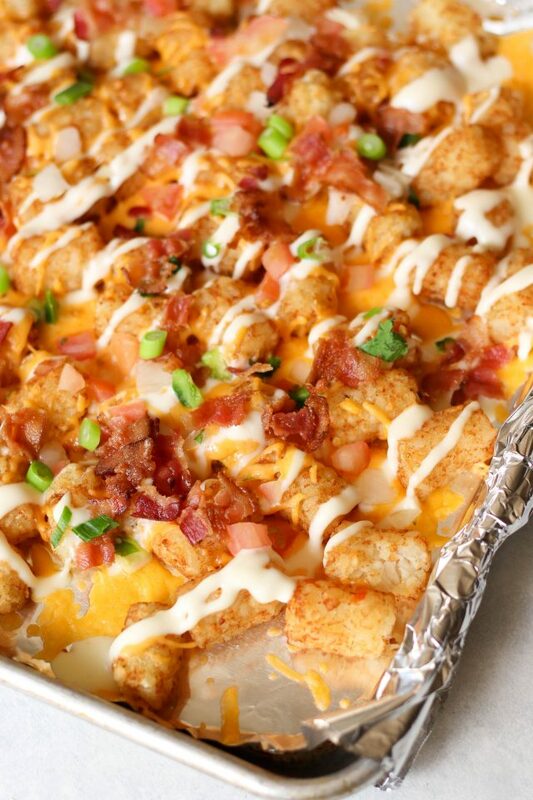 Fuel your game day with our easy and delicious tater tot nachos. Topped with two cheeses, bacon, pico de gallo, and green onion - they're perfect for feeding a crowd. Anyone else excited for the big game?! We are…but just for the food. We couldn’t care less about who’s playing! We love nachos (have you tried our buffalo chicken nachos or Rainforest Cafe copycat? ), and we think they make the perfect food to feed a crowd. 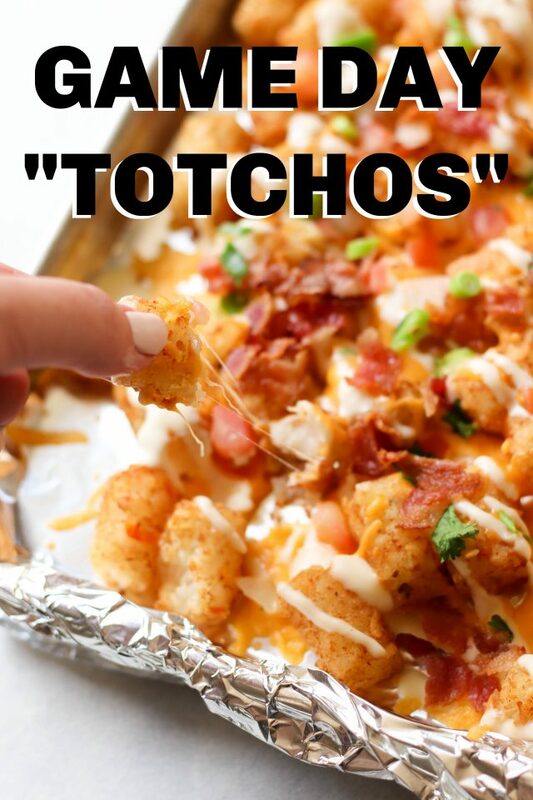 We combined some of our favorite nacho toppings with crispy tater tots and these “TOTCHOS” were born. 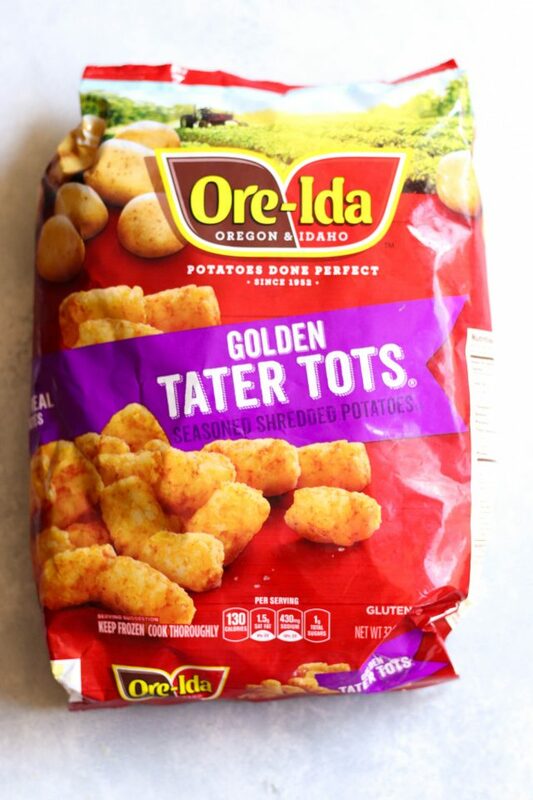 Unlike chips, tater tots don’t get soggy, so you get a perfectly crunchy bite every time. Do you need to fry your tater tots? Nope! 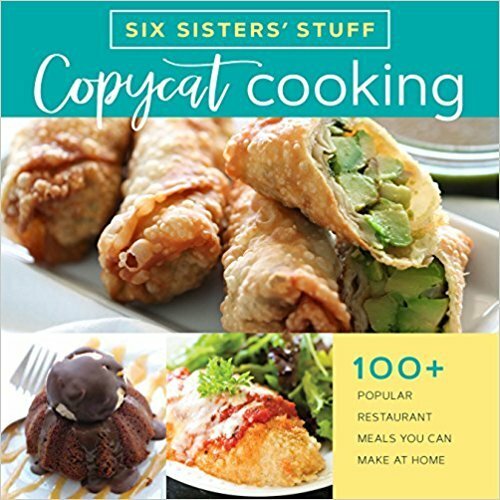 This recipe follows the “baking directions” for tater tots. You can fry your tater tots for an even bigger crunch (just skip the first baking part and follow the frying directions), but it’s not necessary. Can you use homemade queso? Yes! 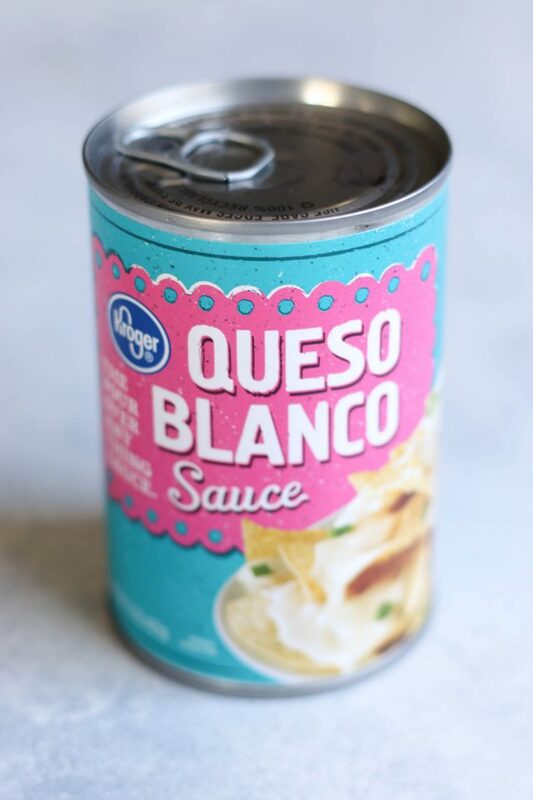 You can definitely use homemade queso (we love this queso blanco recipe). This is the kind of queso we used for this recipe, but any kind will do (it doesn’t need to be queso blanco, either). Step 1: Line a baking sheet with aluminum foil. 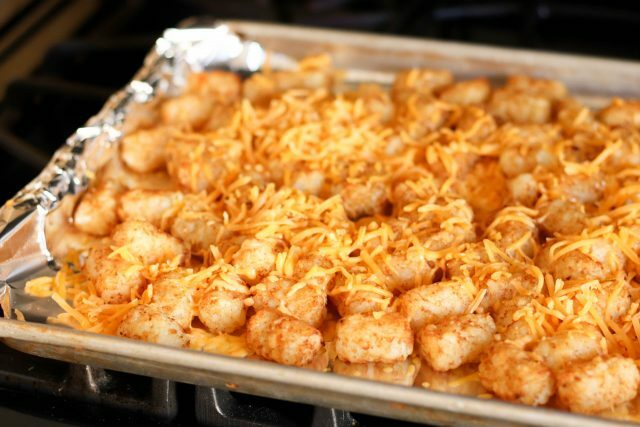 Spread tater tots on an even layer, then bake according to package directions. Step 2: Remove from the oven and sprinkle with cheddar cheese and drizzle queso blanco over top. Step 3: Sprinkle pico de gallo, bacon, and green onions on top. Step 4: Return to the oven for 3-4 minutes, until cheese is melted and warm. Line a baking sheet with aluminum foil. 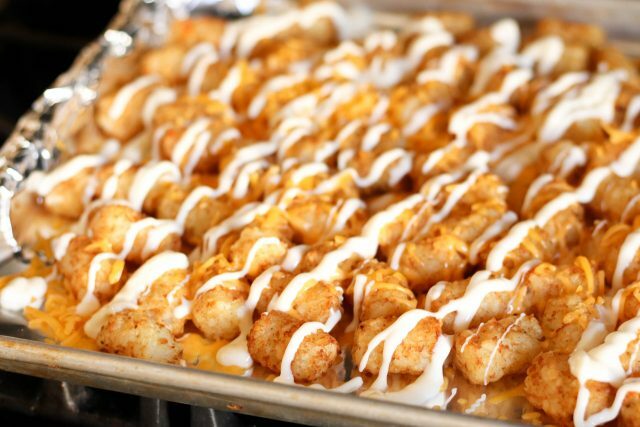 Spread tater tots on an even layer, then bake according to package directions. Remove from the oven and sprinkle with cheddar cheese and drizzle queso blanco over top. Sprinkle pico de gallo, bacon, and green onions on top. Return to the oven for 3-4 minutes, until cheese is melted and warm. Watch how to make another favorite appetizer – Sweet Potato Fries!